On Friday, January 24, over 860 Urban Initiatives supporters came out and celebrated at the 8th Annual Soccer Ball presented by BMO Harris Bank and Storck USA. For the second consecutive year, celebrity emcees Marc Silverman and Carmen DeFalco welcomed guests into the River East Art Center. 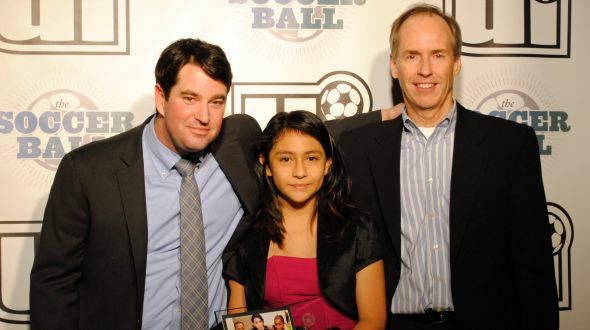 This year’s Soccer Ball was extra special, as we celebrated 10 years of Urban Initiatives. This year’s Soccer Ball was our best one to date, raising $345k to help Urban Initiatives keep more of Chicago’s kids healthy and active. Thank you to all of our sponsors and supporters – we couldn’t do it without you. We’re looking forward to having a ball with you next year! You can see photos from the Soccer Ball 2014 here! And here!